High temperature, high strength alloys have been studied for many years and have lead to significant improvements in aerospace engines, as well as in the nuclear and fossil fuel electric power industries. Ni-based superalloys have been the predominant material of choice for these applications due to their ability to operate at 90% of their melting temperature and capacity to withstand high mechanical stresses under harsh environments. 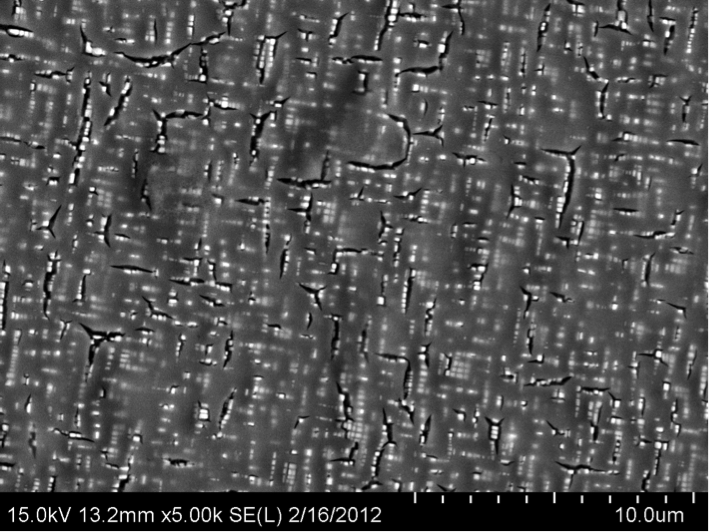 The Ni-based superalloys gain their unique properties through the formation of a γ-γ` microstructure which consists of cuboidal L12 precipitates in an f.c.c. matrix. It was recently discovered that Co-based alloys could be processed to have the same γ-γ` as the more widely used Ni superalloys. The significance of this discovery is that the initial cobalt superalloys have been shown to have solidus temperatures 100-150 ºC higher than optimized Ni superalloys. Higher operation temperatures could have a potentially enormous effect in the electric power production industry. Taking into account ideal thermodynamic efficiency parameters of a heat engine (the Carnot Efficiency), once can see that efficiency is directly proportional to increased operating temperatures. Higher efficiencies in power production will in turn decrease the amount of fuel consumed which will reduce the quantity of greenhouse gases released. Lower rates of pollution resulting from higher operating efficiency would have a positive effect on the environment that would also lead to financial savings by reducing the amount of fuel used as well as increase public health by lessening the amount of air and water pollution. In addition to higher temperature capabilities, the Co-based superalloys improve upon Ni in several other ways. Preliminary studies have shown that it is likely that Co superalloys can be processed into large single crystals (a form needed to achieve good high temperature creep resistance) without forming solidification defects on their surface (so-called freckles) that plague Ni-based superalloys.